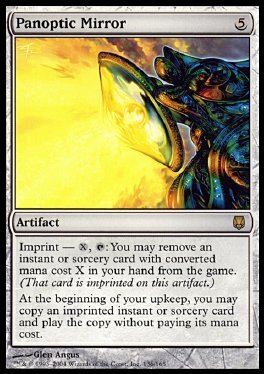 Imprint - X, T You may remove an instant or sorcery card with converted mana cost X in your hand from the game. (That card is imprinted on this artifact.) At the beginning of your upkeep, you may copy an imprinted instant or sorcery card. If you do, you may play the copy without paying its mana cost.